Have you ever tried Onigiri? Onigiri are usually triangular balls of cooked white rice, with a filling in the middle and covered with seaweed. 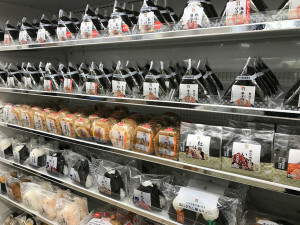 Japanese people like Onigiri – it is convenient to eat and it is filling. Also there are so many flavors! 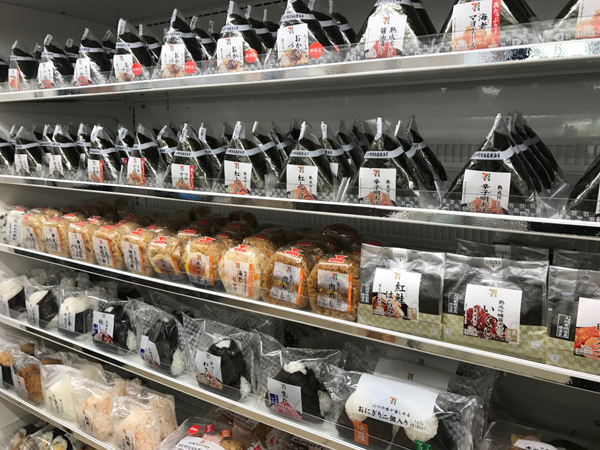 If you go to any convenience stores, you can see line-up for Onigiri. They wrap Onigiri with plastic and if you open properly, your hand doesn’t get sticky part (rice part). So you can eat your hands clean. You must try them while you are in Japan!